Lakeport Landing Marina Is Mercury Mercruiser Platinum Certified. From Routine Maintenance To Total Engine Overhauls, We Strive To Provide Each Customer With The Best Parts & Service On Lake Winnipesaukee! 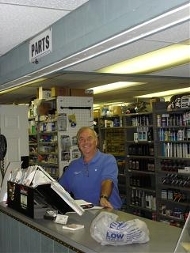 We Stock Mercruiser Parts & Offer Mercruiser Service To Keep Your Boat Running In Top Condition. Contact Us Today To Set Up A Service Appointment! We Will Meet All Of Your Service Needs In A Timely Professional Manner.